Ed Lowe, 1949-2018, died last week doing what he loved, exploring Big Bend. Photo by Nick Dornak. Ed Lowe’s paddle went all over the Brazos as he fought for the river he loved with an overwhelming passion, following the aquatic trails of Texas author John Graves whose words charged him with a cause: Speak up for rivers. 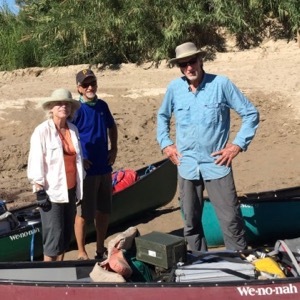 Lowe’s paddle joined Graves’ nearly thirty years ago in a tandem canoe as together they paddled the challenging Lower Pecos River’s whitewaters. His paddle also plumbed the length of the Rio Grande in Big Bend National Park in West Texas, within whose ancient stone canyon walls he found his most profound peace. There the 69-year-old returned over and over again as a professional river guide with Texas Water Trails, even though he was better known as a Dallas restaurateur. 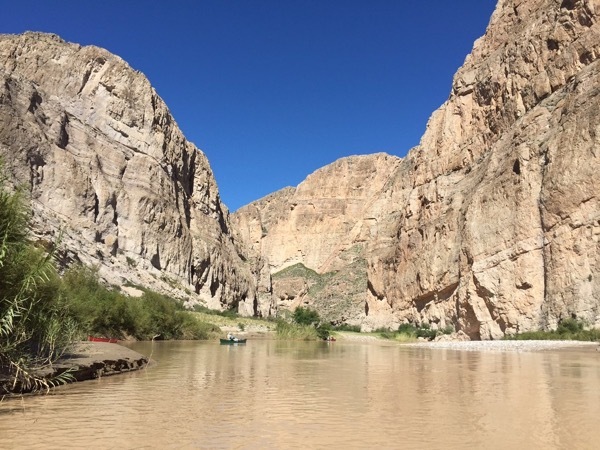 On the New Moon last Tuesday, in the Rio Grande’s Boquillas Canyon, he and a group of four river-rat friends stopped for the day. There on the shore, Lowe’s paddle rested with his beloved canoe, never to dip into waters again. While scouting for a campsite above the river, where rocks pitch and slide in the sandy soil, Lowe fell headfirst down an embankment, dying soon after despite the lifesaving efforts of his stricken friends. Ed Lowe's last day. Shown with Christine Psyk and Nick Gillen, Nov. 6, 2018. Courtesy of Mary Kay Voytilla. 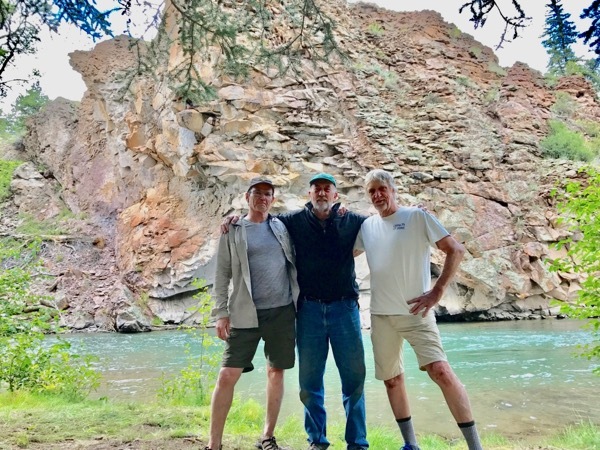 Lowe’s dear friends and river buddies Richard Grayson of Dallas and Nick Gillen of Seattle canoed upstream, paddling against an 800 cfs flow and unfathomable sadness to notify national park officials. Seattle friends Christine Psyk and Mary Kay Voytilla kept vigil with Lowe’s body and prepared to pack out. Responders from law enforcement, U.S. Border Patrol, and Big Bend National Park arrived to recover Lowe’s remains. Marcos Paredes, a Big Bend resident who was to meet the canoeists later in their trip, held the group together, channeling his sadness into coordinating support and rescue for the paddlers stranded at Boquillas Overlook. Local businesses and friends chimed in, helping to pull heavy canoes and equipment from the shore. The loss reverberated as word spread. Some words about Lowe occurred over and again. Inspiring. Welcoming. Kind. Passionate. Servant-leader. 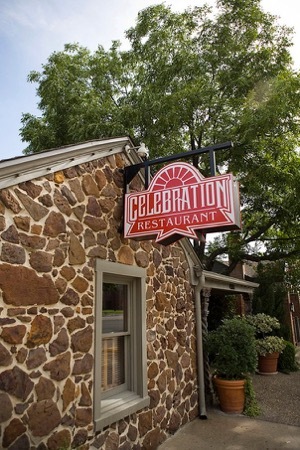 Tributes flowed from the slow food community Lowe fostered as owner of Celebration home-cooking restaurant, a pioneer in the North Texas farm-to-table movement since 1971. Sentiments rolled in from employees, river activists and long-time friends. He lived his passion for life fully. Lowe’s impact was everywhere, but nowhere more so than the river conservation community. As founder and president of Friends of the Brazos River, he carried on Graves’ cause. For at least 14 years, he devoted countless hours and hundreds of thousands of dollars on experts and lawyers. The goal was limiting the Brazos River Authority’s ability to take water from almost the entirety of the river. BRA applied to the state in 2004 to expand its water rights, requesting a million acre-feet of water in addition to the limit of 700,000 acre-feet of water it already had, to be sequestered in its reservoirs. Such a drastic reduction in flow would essentially strangle the river. Lowe suspected BRA’s estimates were rashly speculative. A visionary, he knew if the BRA succeeded, others would plunder all of Texas rivers for profit. Ultimately, coastal estuaries and ecosystems would suffer from the dismal river flows to the Gulf of Mexico. Lowe hired scientists and lawyers for Friends of the Brazos River to challenge the plan and helped limit the scope of new water rights granted to BRA. Ultimately, state regulations for a significant stretch of the Brazos below Lake Granbury became signed into law. 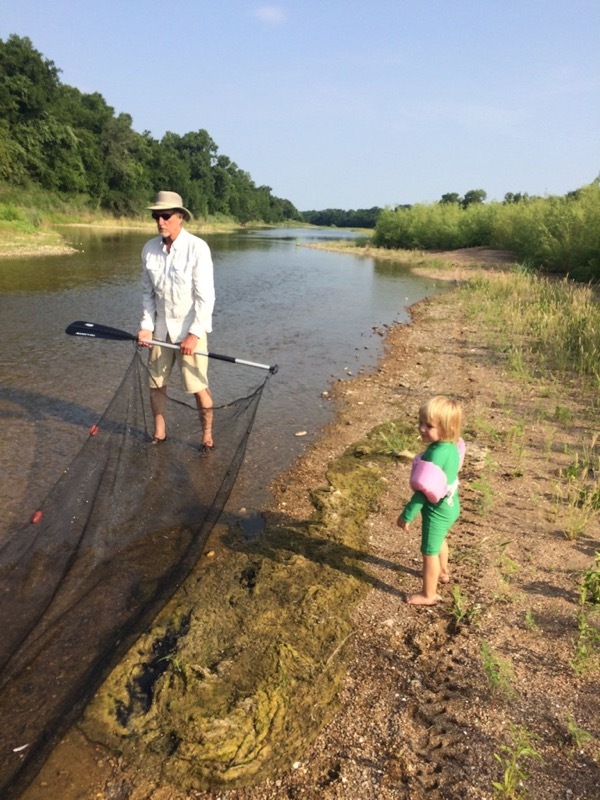 Lowe and Friends of the Brazos helped pass a law to protect a section of the Brazos below Lake Granbury by limiting sand and gravel mining along the river there. Boaters, fishers, swimmers and other recreational users of that part of the river rejoiced. The section is now called the John Graves Scenic Riverway. Not content to rest, Lowe led Friends of the Brazos to organize cleanups of significant sections of the Brazos, removing trash, tires, appliances, mattresses, and industrial refuse. He served as a board member of Texas Rivers Protection Association and was open in his gratitude that Celebration’s success enabled him to fund and persist in these causes. Lowe changed Texas forever. Ed Lowe with grandson. Courtesy of Nick Dornak. More than a river advocate and ecologist, Lowe was a role model for youth. His last public talk was at the Celebration who hosted an annual meeting for Groundwork Dallas, a nonprofit that exposes at-risk Dallas schoolchildren to the Trinity River’s Elm Fork and other natural spaces. The ultimate tribute for Lowe’s work was the way he cared about and connected with people. Through his children and grandchildren, his name lives on. Dornak serves as director of Watershed Services for the Meadows Center for Water and the Environment at Texas State University in San Marcos. Plans are afloat to create a fund in Lowe's name to honor and continue his stewardship efforts. Emphasis will be on watershed protection efforts for the Brazos, Llano, Pecos, Rio Grande and San Marcos rivers. Donations noted as "In Honor of Ed Lowe" can be made online or checks sent to Meadows Center for Water and the Environment, 601 University Drive, San Marcos, TX 78666. 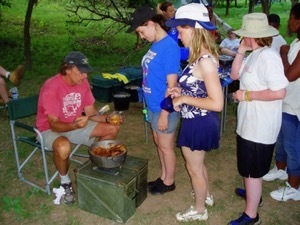 Ed Lowe serving cobbler on a campout. Courtesy of Uriel Carpenter. For memorial donations and memberships in Lowe’s honor focusing on the Brazos, donate to Friends of the Brazos River. James Woods, Tom Titus and Ed Lowe in Big Bend National Park. Photo courtesy of Nick Dornak. While Ed’s paddle will no longer ply the waves, he will become one with the waters. Richard Grayson relates that Lowes’ cremains will be returned to his most-loved rivers: Brazos, Pecos and Rio Grande in Big Bend. Float trips with Lowes inevitably included evening music, campfires and long thoughtful discussions on the river shore beneath endless stars, embracing the brevity and precariousness of life. And there Lowe persists. Services will be at Highland Park Methodist Church at 3300 Mockingbird Ln., on Nov. 19 at 3 p.m.